Maybe for some odd reason you decided to buy an Android phone rather than the iPhone 4S. Maybe you wanted a phone with 3D video and 16 processing cores so you could dual-boot the same crappy games in both Android and Ubuntu at the same time. I do not know your reasons, but if you’re suffering from iPhone envy there’s a new app that can transform your ugly Android device into an iOS styled phone so you can be like the rest of us at Cult of Mac. 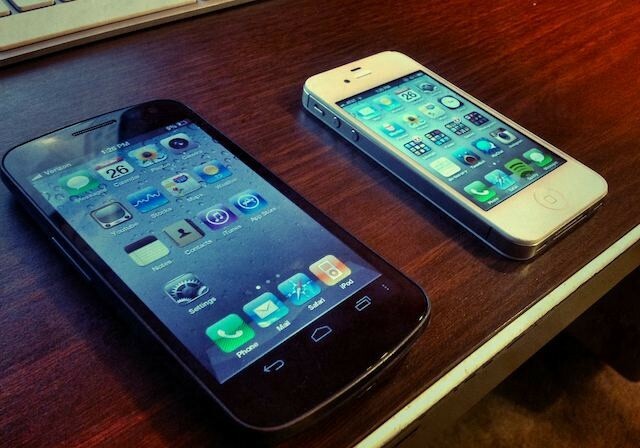 The app is called iPhone 4S Screen and it was just released this month on the Google Play store. It doesn’t completely change your phone’s theme like most Android users would hope for, but it does give you a sense of what it would be like if you had Apple’s gorgeous iOS software installed on some mediocre hardware. Kinda like giving people in hell a glass of cold water. Most of the “apps” in iPhone 4S Screen are really just links to default apps on the Nexus. You tap the Contacts app and it brings up the Galaxy Nexus address book rather than an iOS style address book. Same thing with Settings, Weather, or Camera. They even have a Siri app, but it’s not functional. Adding to the hilarity of iPhone envy, this app has been downloaded by over 1 million Android users wishing to lick a taste of Apple’s secret sauce. Are there any popular iPhone apps that transform your iPhone into an Android? I quiver at the thought.